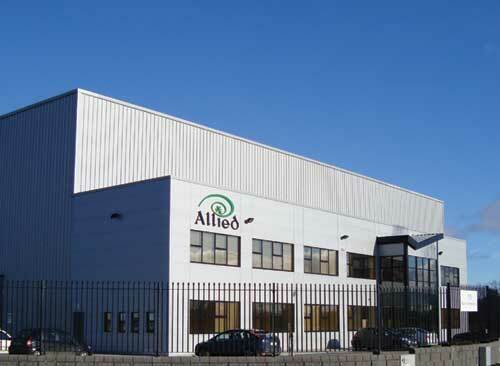 Allied House, Northwest Business Park Phase 3, Ballycoolin, Dublin 15, Ireland. From the M50 take the N2 exit heading towards Ashbourne. 1 Mile up this road take the Coldwinters slip road. At the stop sign turn right. 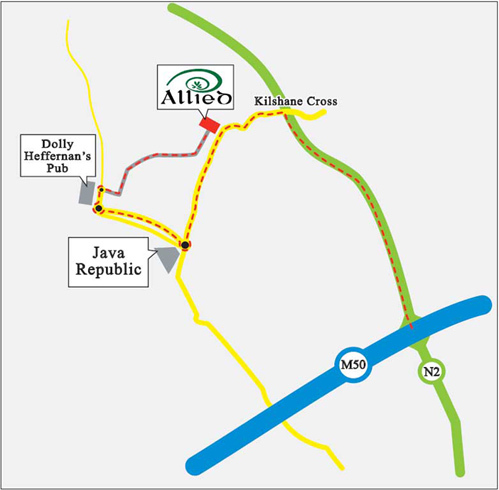 1 Mile up this road you come to Kilshane Cross. 2 Miles along this road you come to a roundabout. On the roundabout take the 3rd Exit and 1 Mile along this road you come to another roundabout, take the third exit. 100 meters up this road you come to a second small roundabout (Landmark is Dolly Heffernan’s Pub). The entrance to Northwest Business Park Phase 3 is on this round about. Enter Northwest Business Park Phase 3 and turn left at the first round about and follow the road to the end of the estate to the Allied Imports building.